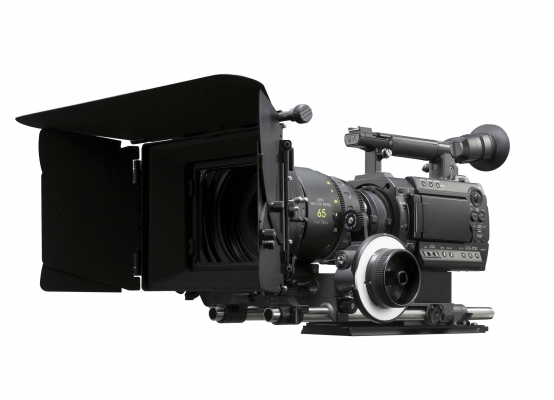 The Sony F3 video camera uses XDCAM EX workflow and uses SxS card recording media. Its Super 35mm CMOS imager delivers shallow depth of field with cinema PL Mount lenses, with high sensitivity and low noise levels (ISO 800, F11; and S/N ratio of 63dB in 1920x1080/59.94i mode), as well as wide dynamic range. The PMW-F3’s PL mount adapter can accommodate both PL and upcoming Sony’s zoom lenses, and offers compatibility with a variety of our cine lenses such as Cooke, Fujinon and Zeiss.